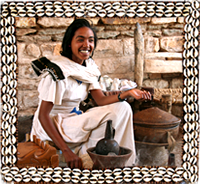 Ethiopia a land of stunning scenery, friendly people and great coffee, situated in the Horn of Africa. 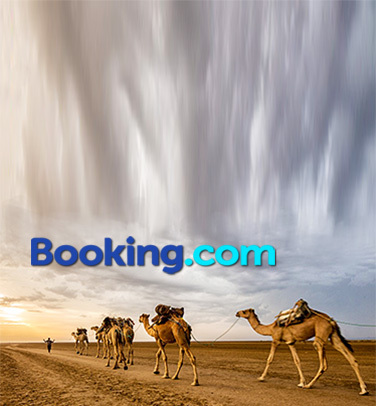 Travel to Ethiopia, the oldest nation in the world, called Abyssinia. The Ethiopian myth is the Ark of the Covenant, that Moses have built to house the stone tablets of the Ten Commandments. Today the Ark is resting in the Kingdom of Axum, the land Queen of Sheba. 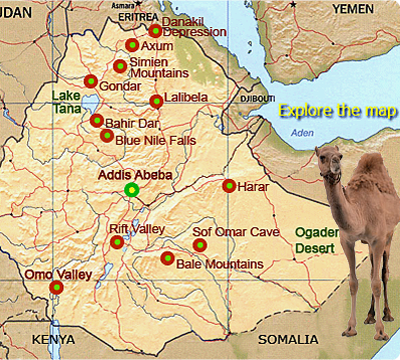 Abyssinia today Ethiopia features highest and most stunning places on the African continent, such as dazzling Simien Mountains and lunar landscape of Danakil Depression, the lowest and the hottest point on earth. Abyssinia is the oldest nation in Africa, its bedrock belongs to the earth's first continent, a continent known by geologists as Gondwanaland. Abyssinia today Ethiopia is incomparable the world's earliest Christian nations with the breathtaking churches in Lalibela. There are so many faces to Ethiopia, the country is a living history, past is unrivalled from the medieval Camelot Gondar Castles to Axum, home of Queen of Sheba. Stunning Axum Stelae of Remhai constructed in 2500 BC was 23 meters high, there were 3000 Stelaes in Axum Kingdom. 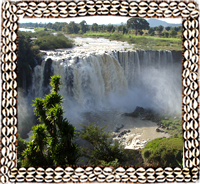 Ethiopia contains some of Africa's last great wilderness, regions of dramatic landscape with endless canyons and gorges. Great Rift Valley is home to some of Africa's most fascinating and colourful ethnic groups. 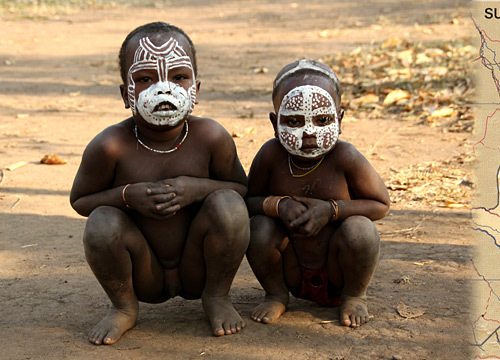 Trip to Omo Valley is an experience that will remain vivid in your memory for rest of your life. Ethiopia is the birthplace of coffee, forests of the Kaffa region that arabica coffea grew wild is the finest coffee in the world. It's also one of Africa's greatest cultural destination, it represents a melting pot of ancient Middle Eastern and African culturesand. አዲስ አበባ Addis Ababa has always seemed like a magical entrance, a gateway to another world. Addis Ababa is at the verge of an ancient and mystical world. New Flower - Addis Ababa the capital city is an intriguingly indigenous African city, unlike many other African capitals are not rooted in colonization. 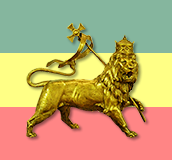 Founded by Emperor Menelik II is the last in a succession of the great Abyssinian Empire dating back to the pre Christian Axum Empire. Addis is such a fashionable place that it recently hosted a fashion week, showcasing the works of Ethiopian and African designers. English is the most widely spoken foreign language in Addis. Courtesy of "Great Big Story"
Abuna Yemata Guh is a monolithic church located in Hawzen, of the Tigray northern Ethiopia near Eritrean border. The church is situated on cliff 200m or 650ft height, with with gorgeous view of the valley below. Getting there is a thrilling experience an intense climbing, common practice for a few dedicated priests. This monolithic place of worship is said to be the most inaccessible and dangerous church on earth, none of priests died from falling off the cliff. The church is named after Father Yemata a priest who carved this church out of the cliff face in the 5th century, it contains an Orthodox Bible with colorful sheets made of goatskin. Abuna Yemata Church is so sacred that some Ethiopian risk bringing their babies all the way to the top of the cliff, to have them baptized.